Do you have to be an expert to be a life coach? At this point in your life, you know how to tie your shoes, but others who are years younger and many miles behind you do not. You know how to drive a car; others do not. You might know how to get a job, while others do not. You may know how to get promoted, sew a blanket, get a great deal on a car, write a song, produce a movie, create a blog, get out of debt, lose some weight, improve a marriage, lead others, deal with criticism, give birth to a child, manage employees, ace an exam, find an agent, overcome fear, care for a sick loved one, give a good speech, buy a house, find the perfect clothing style, resume a normal life after a serious illness, or nearly anything you can think of. Others may not. While you may not consider yourself an “expert” there are likely others out there who are willing to pay for the value of your background and experience. I remember a time when I was teaching one of my granddaughters how to whistle. She thought it was amazing that I could do it so easily. In the same way, you probably have something that you understand well, that would be of great value to someone else. Benefit #1 – You double the rate of personal development. I’ve always heard that the best way to learn something is to teach it. In years of teaching in Sunday School and university classes, I’ve certainly confirmed this for myself. So often in working with a coaching client I find myself studying a particular issue myself. I’ve learned volumes about franchising, consulting, and speaking as I’ve helped clients become proficient in these areas. I’ve learned valuable principles about maximum success as I’ve coached people to their own highest levels of success. Don’t think you have to be the expert in everything to coach – trust me, you’ll learn 80 percent of what you need to know from your clients. Benefit #2 – You can make an extraordinary living. Coaches typically make between $125 and $400 an hour. Once you understand the concepts of re-purposing your content, you can see how $150,000 or more a year is not unreasonable. You can put yourself in the category of any other highly paid professional and see your network of contacts open new opportunities. Two of my dear friends I have made through coaching, Jevonnah Ellison and Kent Julian. Benefit #3 – You build lasting, empowering relationships. Having come from a traditional counseling background, this is one of the benefits I enjoy most. In traditional counseling, you have to maintain a professional distance from your clients and would seldom entertain the idea of actually being friends. With coaching, that’s not the case. I have developed deep personal and business relationships with many of those I’ve coached over the years. Joanne and I have enjoyed many special occasions with clients around the country. And we are now connected to many of their friends as well. Just like in real life, some clients I want to just know as clients, but with many I build lasting personal friendships. Benefit #4 – You become a master of life. Benefit #5 – You are well-positioned for the next opportunity. Most of the clients I work with at this point are looking to develop creative ideas for high income. Because of that focus, I have people bringing me new ideas every day. I get to evaluate the best and most innovative ideas available anywhere. I get calls from all over the country from people wanting me to preview (and endorse) their latest, greatest business idea. A typical week often brings me 4-5 new book manuscripts and 1-2 new products to review. Just recently I received a complete set of time management tools (expensive binder, CDs and inserts for one year). I never get tired of seeing the new ideas – and it gives me a driver’s seat position for getting involved if I choose to do so. The coaching you will do will set you up to be on the cutting edge of the best new opportunities anywhere in the world. Benefit #6 – You get to give your gift. Most people go to work and put on a different hat. As a coach, we get to just be ourselves all the time. My interactions with client, our neighbors, friends of our kids, church acquaintances, business associates and casual encounters in restaurants and airplanes, all have the continuing theme of helping people find and fulfill their highest calling and purpose. But that does raise the issue of when does that person become a paying client as opposed to someone who just receives my coaching for free? I don’t have hard and fast rules about that. But I find that giving freely just leads to more requests that then are paying clients. Many of the referrals I get come from people where our life paths crossed and I was able to help them through a challenging time – but perhaps as a friend or chance encounter rather than as a regular client. It doesn’t matter – the “giving” part of my coaching comes back magnified. Much like the Biblical “Law of the Harvest.” Several years ago I had a gentleman contact me about the Sunday School class I was teaching at the time. He wanted to duplicate that in his own church in Florida. I gave him all my notes and class outlines and met with him to offer anything else I could. I then discovered he had just sold his business for $18 million and didn’t know what to do next. He became a $2500 client and has used me as a consultant for his new business and for doing workshops at his church. As near as I can calculate at this point, I have generated about $160,000 as a direct result of this man’s influence and have in addition created some priceless contacts in the publishing world. Benefit #7 – You will be appreciated. When you truly do “coach” someone to a higher level of success in their life, they will love you for it. I don’t know of any more gratifying work than to be involved with people as they are moving from mediocrity to excellence. And they will see you as part of that rewarding process. Does everyone make that successful transition? Of course not. Right now I have a couple that came to me after receiving a substantial inheritance from his father. They presented that this provided them with an opportunity to move into an entrepreneurial business and experience the freedom of being on their own. Now, after two personal sessions followed by some very direct questions, I find that their marriage is essentially gone; she does not support anything but having him get a “job” and his ADHD is severe enough to explain his scattered work history. I don’t see any easy solutions for this. And the tough questions I am confronting them with are not likely to make me a loved friend. I accept the responsibility to speak the truth when necessary. My goal as a coach is not to make them feel better, but to be better. Fortunately 90% of the time I can just enjoy the process as people grasp new vision and new levels of accomplishment. And I appear the omnipotent hero! Can I be a life coach and still make a living? I have always been inundated with requests for ministry (or pro bono) coaching. Just today I received a lengthy letter from a 60-yr-old pastor, whose board in his description is replacing him with “a new and younger man.” He has no health insurance, is living “paycheck to paycheck” and has no idea where to go from here. After a “ministry” lunch meeting yesterday, I made a quick stop at the bank. The teller dissolved into tears as she told me that she too has felt “called” to do something significant, but feels trapped at the lowly position at the bank as a single mom. I ran out to my car and grabbed a copy of the new edition of 48 Days to the Work You Love and Wisdom Meets Passion but she could have used a tender 2-hour listening and counseling session. If you are a coach, or just a person people seek out for counsel and advice, how do you handle that desire to help a hurting world? Specifically, how do you balance your desire to serve and your responsibility to provide for your own family? Coaching is one of the fastest growing areas of career opportunity today – and yet I see competent coaches making income comparable to that of a hamburger flipper. We’re told that 95% of coaches never make more than $40,000/yr. So let’s assume that’s a reasonable average – BUT you’re smart enough to recognize some other ways to share your core message. Here’s a brief overview of some of the ways I was making money right from the start – with no books, courses or unique content of my own – and coming from a place of ministry and service. I wasn’t looking at turning the content I was sharing in my Sunday School class into a business, but the doors just kept opening quickly. The Sunday School class (CareerLife Planning) I was teaching grew by leaps and bounds. So I added a quarterly Saturday morning workshop where I covered the same basic material. I charged $69 and would always fill the room to maximum capacity (100-120). When I had my first business I started using the DISC profiles to help with hiring properly. I saw the value of that information and started providing the DISC profiles for people where I would do a one hour debriefing to understand the career applications – for $145. We now offer DISC certification to help others do the same. Those profiles led to requests for more individual coaching – and I created packages at $145, $745 and $2500. The workshops, seminars and Sunday School class quickly filled my schedule to capacity. Over the years since, I’ve gone from 5 days a week of personal coaching to about 1 day a month because of the income generated from other areas. When I was 32 years old I was volunteering as a Dale Carnegie teaching assistant. I had been dramatically helped by the basic Human Relations course and wanted to help others experience the same benefits. But the program had become quite expensive and I wondered if there were other similar options at a lower price. With a little research I discover a 10-module program called Adventures in Attitudes. I became a “facilitator,” purchased their workbooks, and scheduled my first workshop. The local Chamber of Commerce promoted the workshop to their mailing list and allowed me to use their beautiful facility for the 10 weeks at no cost. I paid $69 each for the participant workbooks, charged $469 for the program and had 23 people sign up. I had no list, no platform, and no audience of my own. As you can see, that first workshop netted me $9200 and I repeated that process many times before I ever created any materials of my own. 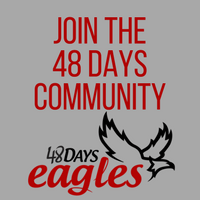 We now have the new 48 Days to the Work You Love Seminar available for you to replicate exactly what I did. I wanted to attend conferences to help me learn and grow. Many of those conferences offered an affiliate fee. One of the first I attended was Mark Victor Hansen’s MegaBook University. The price was $995 and I got a 30% affiliate fee. I promoted it to my little group of friends, told them I’d buy them dinner, and had 12 people join me there. I paid full price for myself, half price for my son and had flights and hotel expenses = $2500 and bought dinner for those 12 folks for another $300. So I invested $2800. But a week after I got home I got my affiliate check (33% of the 12 attendees = $3582) Deduct my total expenses and I got to attend the conference for free and netted a $782 profit. I’ve done that more times than I can possibly remember with conferences, courses and programs. I began to write articles for Sunday School materials. I would have one article on finding your passion and applying that in meaningful work, for each of their quarterly lesson guides that went out to over 400,000 faithful Sunday School participants. They paid me $425 for each of those articles. And the exposure created activity in every other area of my business. From the very beginning I got speaking requests. Typically those were from churches and I didn’t have a set fee. But they would always give me a love offering of some kind – typically ranging from $400-1500. Using these beginning figures you can see how they quickly add up to put you in an income range few coaches ever reach. And this is just the beginning. As you create content of your own, and build your own audience, these figures can grow exponentially. I began with the few things identified here but in the time since have added my own 48 Days content through traditional books, ebooks. 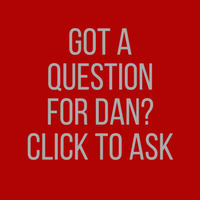 online courses, membership sites, and a Mastermind. Knowing I had a core message to share (Release dreams into purposeful, and profitable work…in 48 days) has allowed me to add multiple ways for people to experience that message. And I’m confident you can do the same. How can I thrive if I really want to help the needy? And if I’m a coach I hate to charge for knowledge and encouragement that could help that person break the cycle of self-defeat and start on a new path to wholeness and spiritual vitality. My Dad was a pastor who volunteered his time to pastor the little church in our town. I too have a heart for the downtrodden. But I’ve created a balance whereby I can give without resentment. I allow 10% of my time for humanitarian and ministry needs. That allows me to address those needs and still provide for my family. But I couldn’t spend 90% of my time helping the poor – I’d simply become one of them and deplete my ability to help. It’s impossible to give when your own cup is empty. A sincere desire to help and serve can kill the golden goose just as much as raw greed. You may already describe “coaching” as at least part of your business model. And as such I am constantly surprised to hear how many of you are giving your services away, either literally or by charging far less than they are worth or by offering “trial coaching” periods that are several sessions long. I see people scouting through the 48DaysEagles community to see who will coach them for free and actually feeling like they can be “selective” about who they work with. This seems to come up again and again. Prospective clients will frequently present themselves as desperate for our help but because of life’s challenges, unable to pay for our services. Unfortunately, there is little to be gained by either party with a “free” payment plan – everyone ends up losing. Just think about it. Charity tends to create resentment in both the giver and the receiver. The giver ends up feeling used, drained by the time and effort expended. And the recipient experiences growing resentment, guilt and anger at being expected to be grateful all the time and for the loss of self-esteem with each gift being another reminder of what they cannot do for themselves. If you get something for free, you typically view it as being worth very little. There is a clear connection between cost and perceived value. Clients receiving free coaching will be quick to cancel and slow to implement any changes. When was the last time you saw an attorney, a doctor or an engineer set up shop and then offer months of free services? Would you take them seriously as professionals? One thing all helping professionals learn early on is to take care of yourself first. You can’t help others if you are sick yourself. If you can’t pay your own bills, you’re in a weak position to help someone else. You can help people more from a full cup than an empty one. Don’t assume that those who claim they can’t pay are in fact those most in need. And certainly don’t assume that those who can’t pay could benefit the most from our coaching. That seldom is the case. Someone who can’t pay probably has a history of making poor decisions and has less likelihood of acting on and implementing coaching suggestions. Agreeing to buy into their “poor me” syndrome may simply prolong their bad choices and patterns of not accepting responsibility. Now – that being said, I still do a fair amount of “ministry” coaching. It’s usually at the recommendation of another professional who really does understand the situation. And it is always a very brief encounter with me. I may agree to a one-hour intense session, but not a fully developed The Intentional Life process. If you want to donate 4 hours a week to working with prison inmates, temporarily homeless individuals, or those who just experienced a serious setback in life, that’s fine and honorable – but don’t make that the norm for your coaching business. But be very careful with this issue. Don’t get trapped in coaching that opens the door for two-sided resentment. And don’t establish yourself as someone whose time and services are lowly valued. You can become the best, and provide the best. 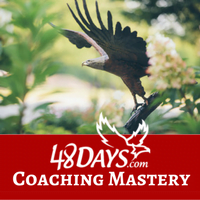 At 48 Days, we have a Coaching Mastery Program that can help you with the nuts and bolts of coaching as well as help you build your coaching business. Click here for more information and an opportunity to join the program. • Am I ready to be a coach? Take the quiz to find out. • Tips on how to get your first coaching client (a free download). Will you coach me for "free?" Are you ready to be a coach?